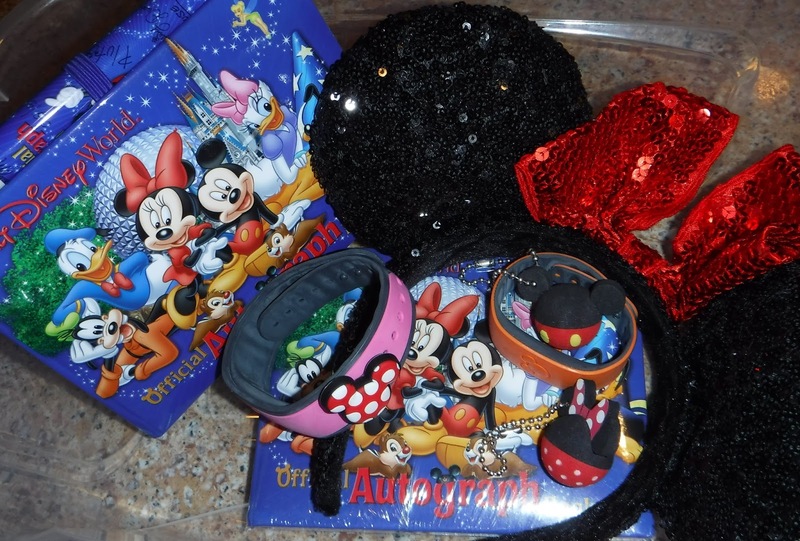 Picturing Disney: First Timer's Disney Packing Plan! The days leading up to a Disney vacation are a very exciting time! 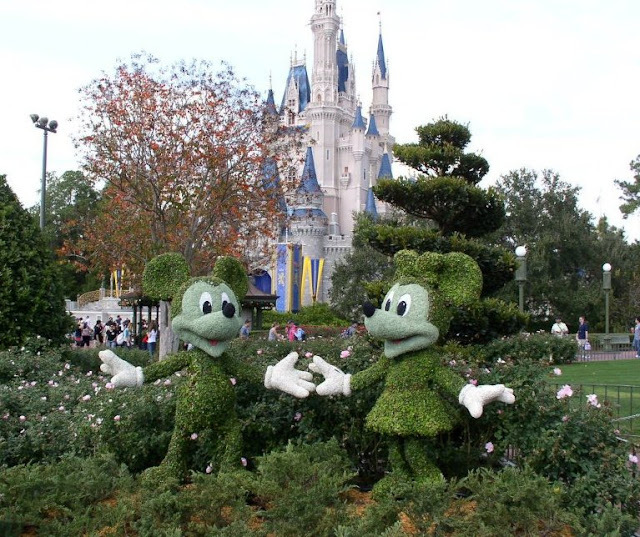 Travel plans are finalized, tweaks to our schedules are made, and we dream of a magical vacation! If only everything can be magical, but packing can be a daunting task. With only one child, and a husband that prefers to pack his own suitcase, you may think I have it easy. Unfortunately, my biggest obstacle was always myself! I would overthink everything, then overpack, pull things out of my suitcase, rethink it all, and put things back in. I always ended up with at least a suitcase worth of stuff that we just didn’t need. It’s taken time, but I’ve finally come up with some packing tips that have cut down on my packing woes immensely. I know that sounds ridiculous, but hear me out. A few years ago, I was typing out my own packing list, constantly wondering "what was I forgetting?". 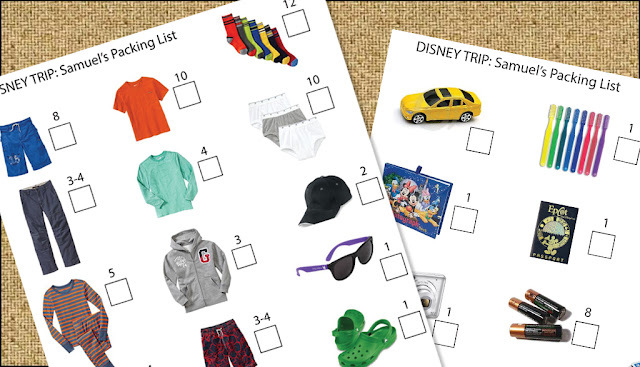 I ended up going online and doing a Google search for “Disney Packing Lists”. I was presented with a large selection of websites that claimed to have the perfect packing list for me. I selected two of them to print out and compare. I kept one printout to be my master list, crossed out what I didn't need, added a few new items that the other list had or that I came up with, and ta-da, I had a list. The list was full of scribbles and wasn’t fancy or pretty that first year, but it worked and saved me a lot of time. Between that trip and our next trip, I took some time to create my own master list, and I've been using it ever since. My son, Samuel, is 8 now. With minimal help from me, he has been packing his own things for the past 5 years. It’s wonderful! Samuel made the decision that he was going to pack his suitcase when he was 3, after watching me consult my lists and pack my bags. He ran around, collected stuffed animals, a blanket and very large trucks, put them in his bag and declared that he was finished. I explained to him what he would really need on vacation and that I would help him find the items. "No, me" was his reply. My independent little guy wanted to do it all by himself. I realized that this was going to be a great learning opportunity, so I came up with a plan; I would make him a picture packing list. To do this, I went online and did a Google image search for the items my son would need. I quickly found a picture of a pair of shorts and saved the image to my computer. Next was a swimsuit, check; t-shirt, check; and so on. I opened up a blank page in Adobe Illustrator, though any software that you can add text and images in will work. I added the images of what my son needed to find, then added a check off box and a number, indicating how many of each item he needed. Once I had my list finished, I printed it out for him. I showed him his list and off he went. He felt so proud and important to be finding his own items and packing his bag. For him, it was a fun scavenger hunt, for me it was a big help! I admit, I did go in through his suitcase later and refolded items, but I was very pleased how easy it was for him to pack his own bag. We travel to Disney almost every winter. More than once, we have ended up buying a Disney item that we already had bought on a previous visit. We either forget to bring it along or couldn’t find it when we were packing. 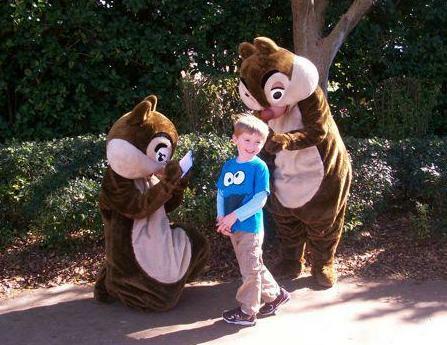 One example is my son’s Disney autograph book. He had a book that was only 1/4 of the way full with signatures, so it would work fine for our upcoming trip. When the time came to pack, it was nowhere to be found. We ended up buying a new one once we arrived. When I finally found it months later, I decided I would find a place for all of our Disney goodies. This way I know exactly where to find them when it’s time to pack again. 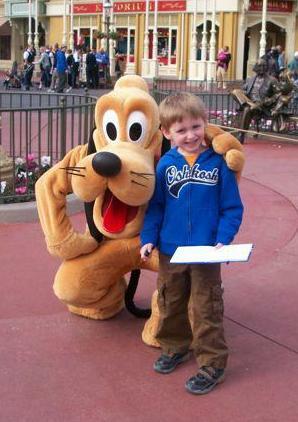 My husband loves to leave Disney with a new stuffed Mickey, and my son always has a new stuffed character as well. I tend to bring home something different each time, from jewelry to a new Mickey pocketbook. A lot of souvenirs can be tucked here and there in a suitcase, but what about the stuffed characters? A lot of children don’t want their new friends squished in a suitcase. What my son and husband do is put their characters at the top of their backpacks, with the head sticking out. Therefore you only need room for half of the little fella. And what can be cuter than seeing a 6’ 4” man and his young son walking through the airport, each with a backpack on their back with a Disney character peaking out of the top. I hope some of these tips help you in your Disney packing, so you have more time to enjoy your travels!